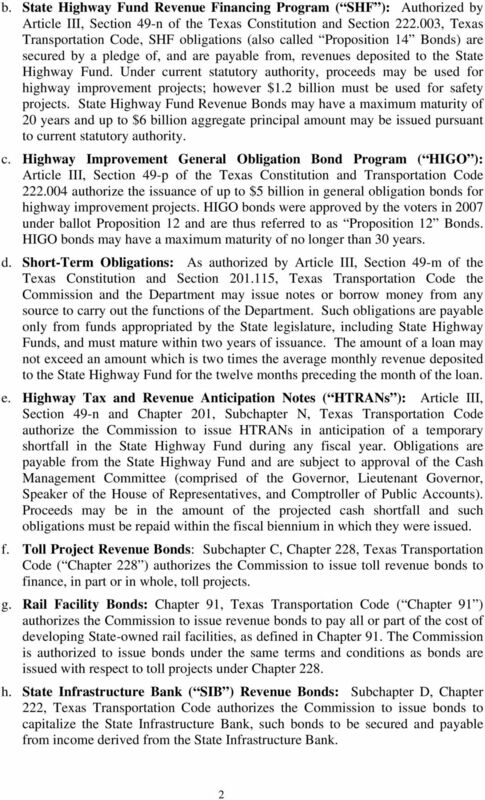 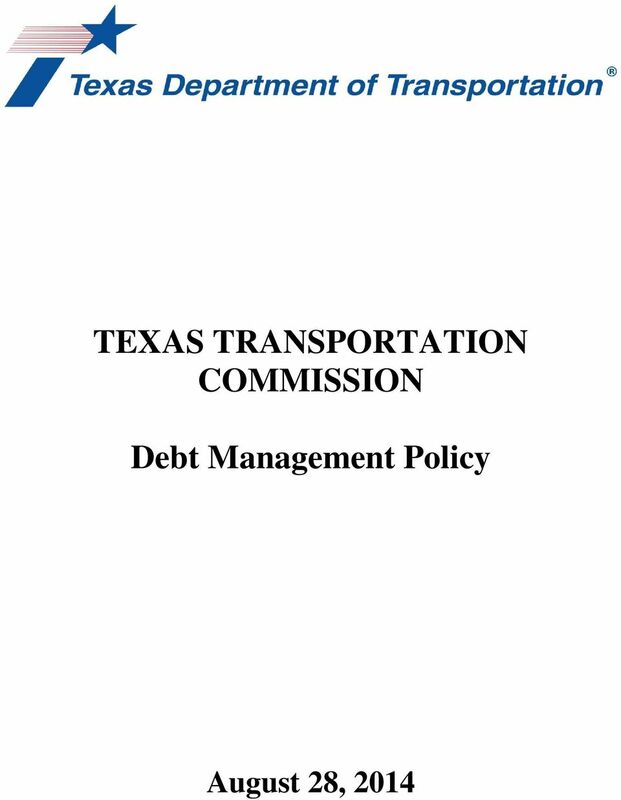 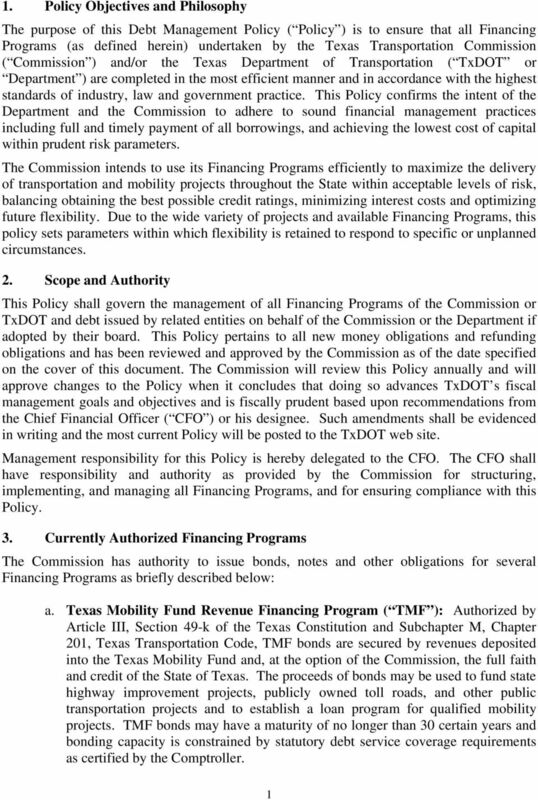 Download "TEXAS TRANSPORTATION COMMISSION. 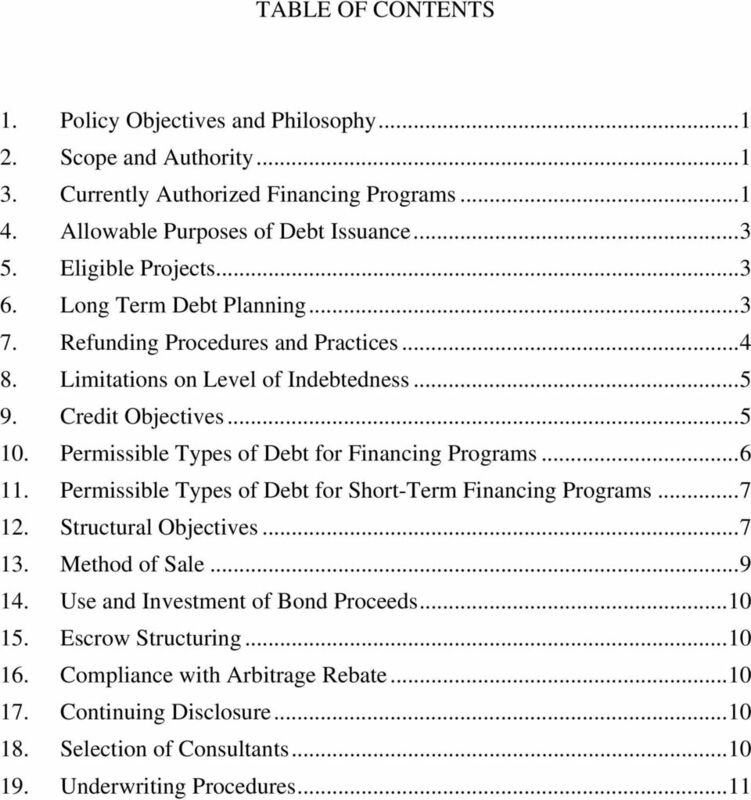 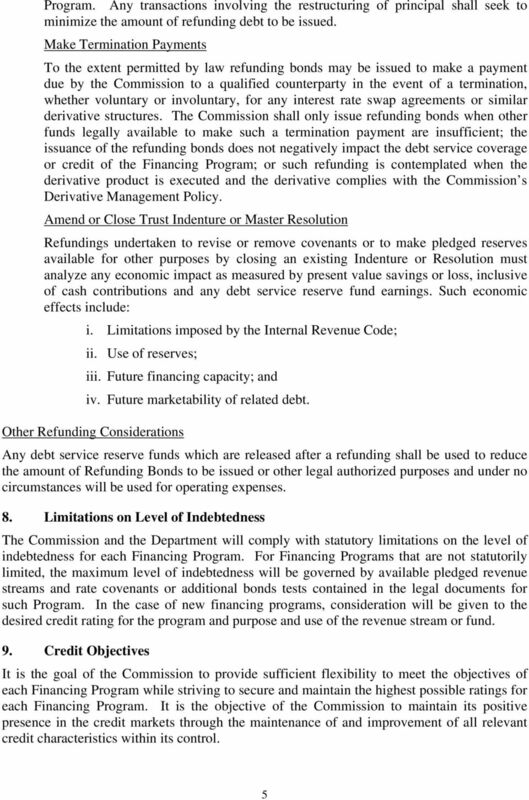 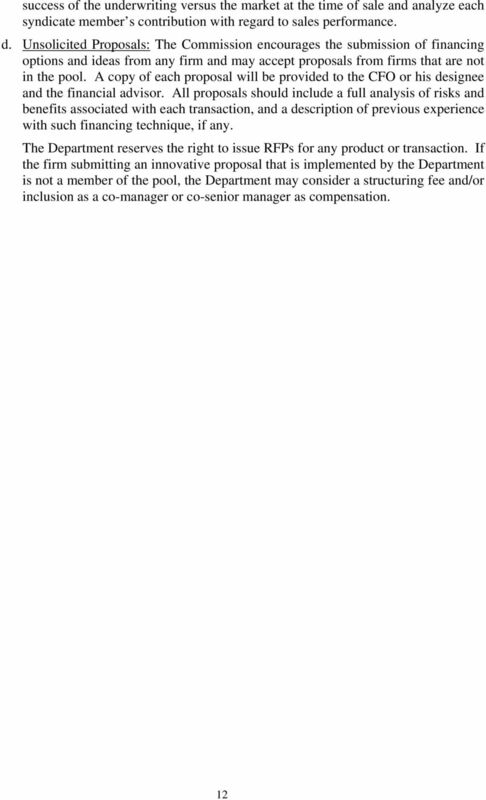 Debt Management Policy"
University of Virginia Debt Policy Dated February 19, 2015 Table of Contents I. Overview... 2 II. 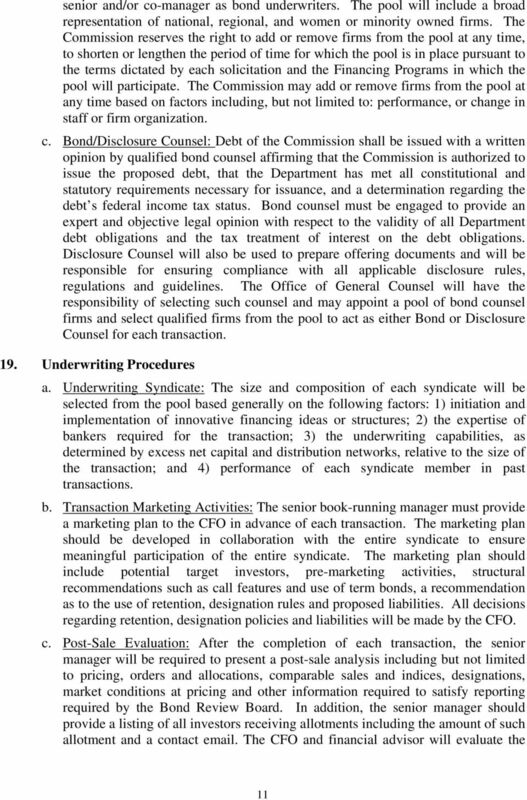 Scope and Objectives... 2 III. 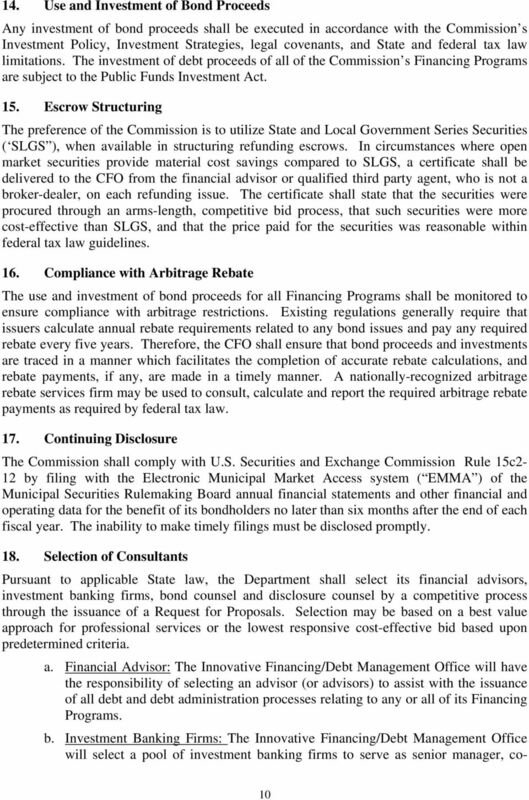 Oversight and Approval... 3 IV. 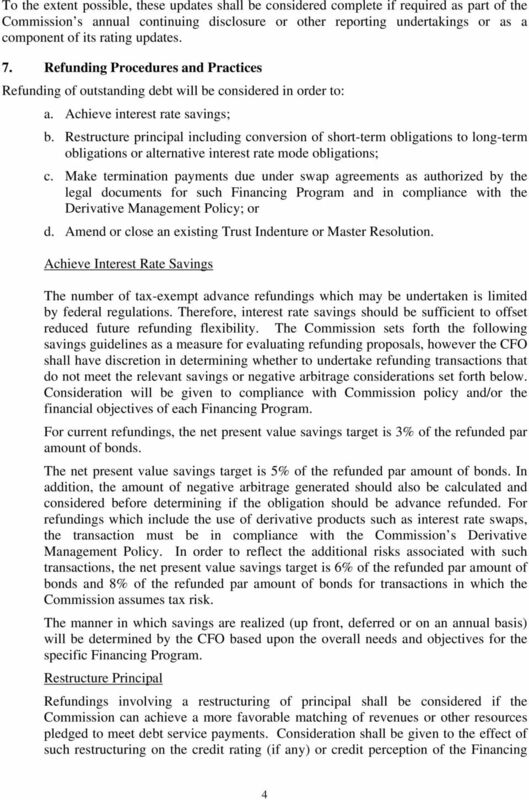 Debt Affordability and Capacity... 3 V.
POLICY. 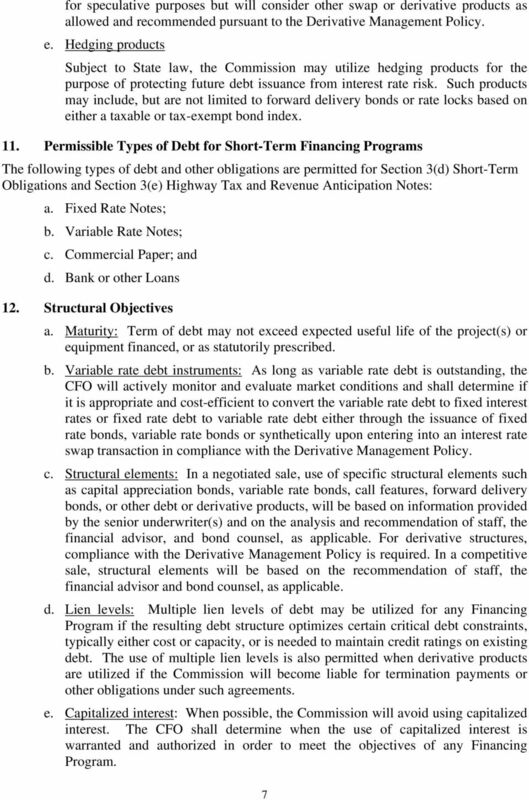 Employees Covered All College financing activities. 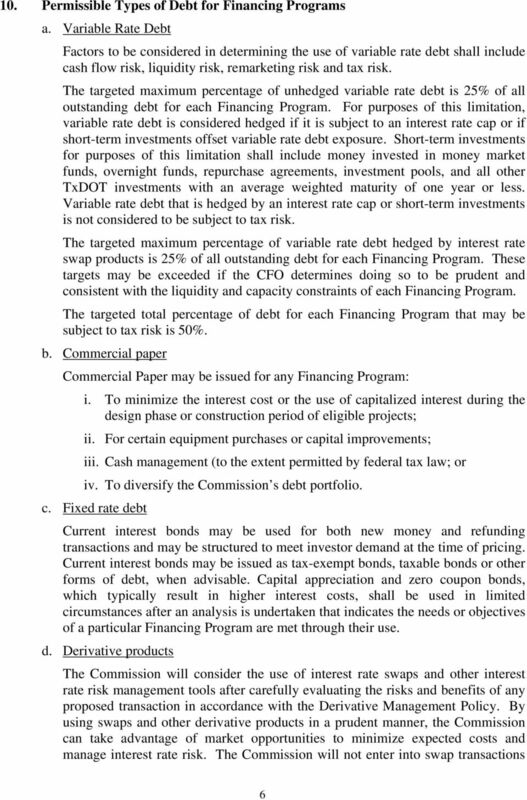 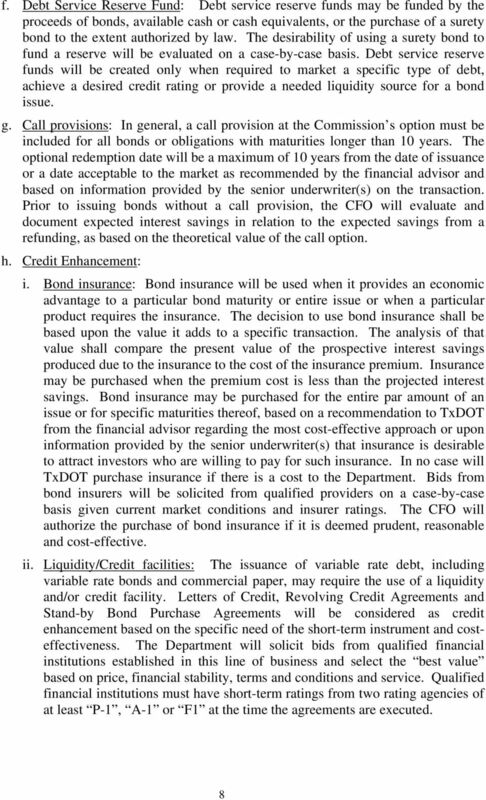 Debt Policy of the City and County of San Francisco Controller s Office of Public Finance. 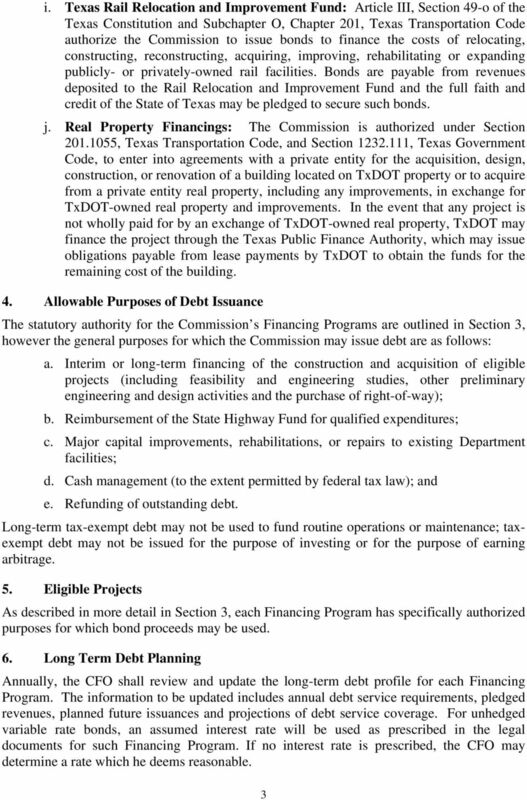 Last Update: June 2013.